Yesterday I had the pleasure of attending the Daly Showcase. 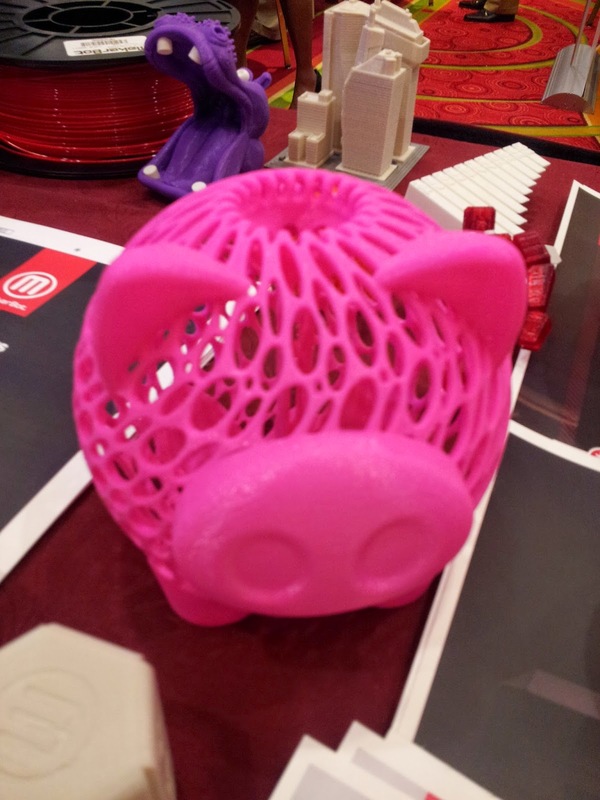 One of the vendors was MakerBot with their Replicator2. How awesome does this look? All of those gadgets around it were made on the 3D printer! I was amazed! 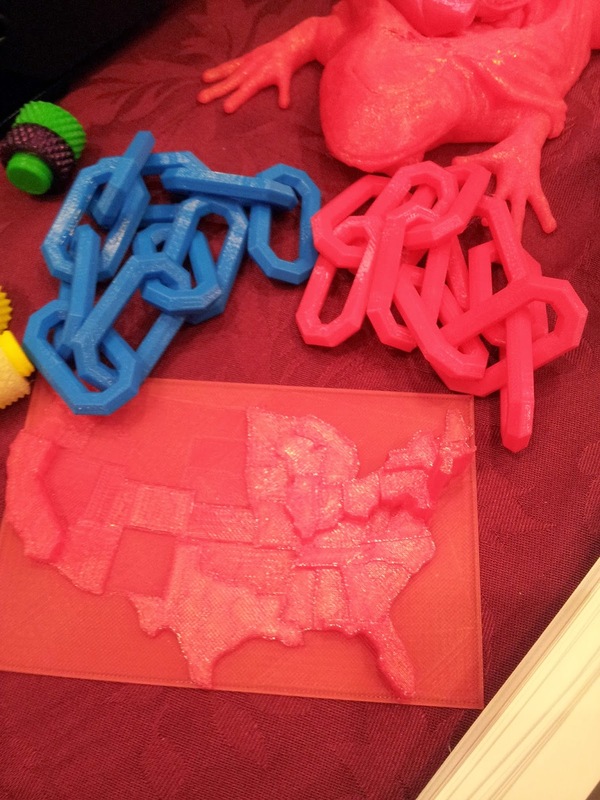 The guy demonstrating was telling me about how many of the schools in New York (where the company is based) have seamlessly integrated 3D technology into their STEM programs. Yes, that is a plastic chain link that really works! I have no idea what this is, but it is pretty cool (and it was huge! About 10 inches tall!). How cute is that little pig? 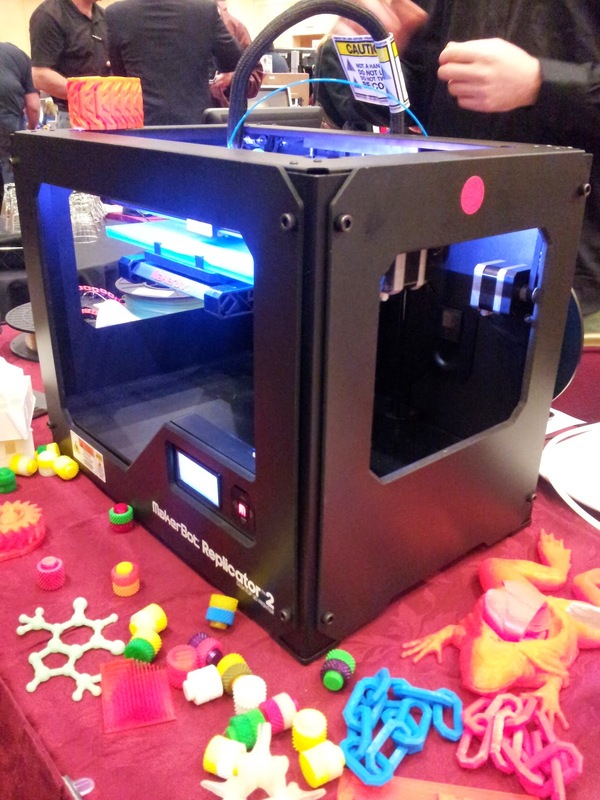 I would love to hear about how schools are incorporating 3D printer technology into their classes. I would like to try and get one for our school next year, but I worry about the technicalities. How difficult are the printers to get set up? How difficult is the software to learn how to use? What kind of creation software is being used the most? 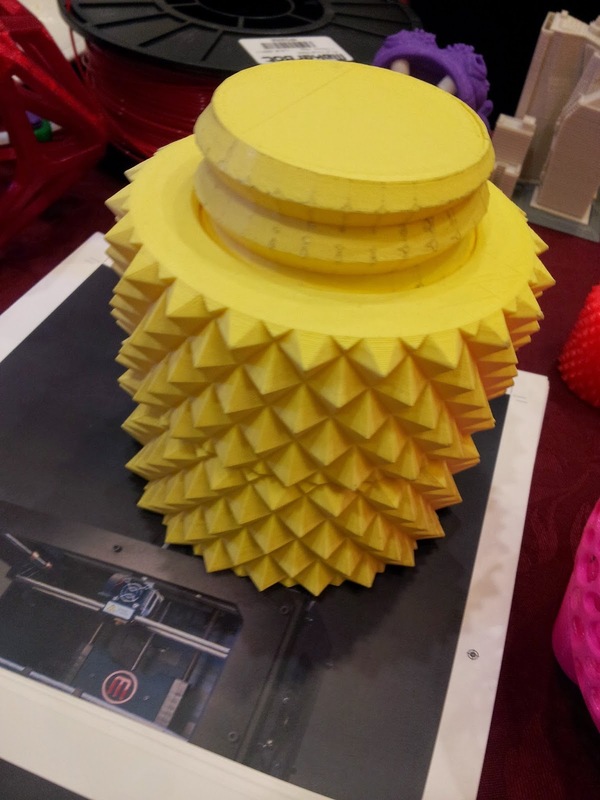 The guy that was demonstrating this explained how students don't even need to design their own things, they can simply use thingiverse.com to find designs that others have already created. But, I would prefer our students to design their own things. Right now, our technology classes use Sketchup to make computer designs, but I know there is probably something better.